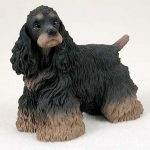 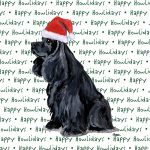 Our black Cocker Spaniel figurines have the simplest coloring but is our most popular seller of the six Cocker Spaniel figurine colors we offer. The coat, and short compact stance is identical to the other five Cocker Spaniel figurines. 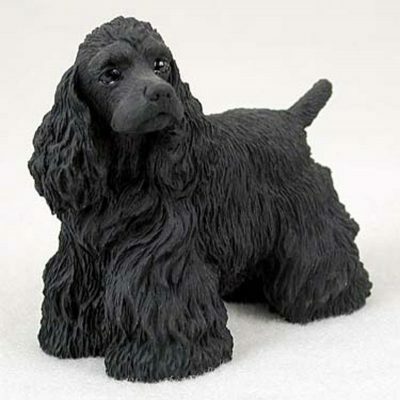 The coloring is a solid matte black that covers the entire figurine. 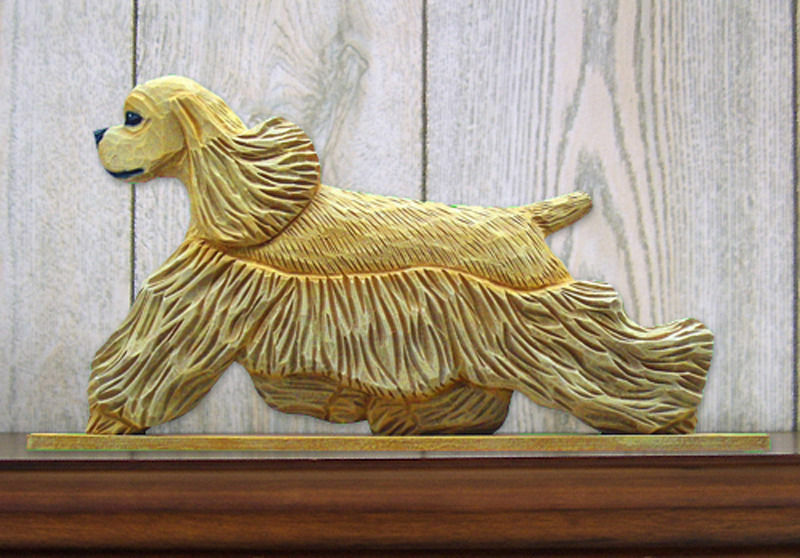 The shaggy ears, chest, and paws have the rough coat while the rest of the figurine has a medium cut. 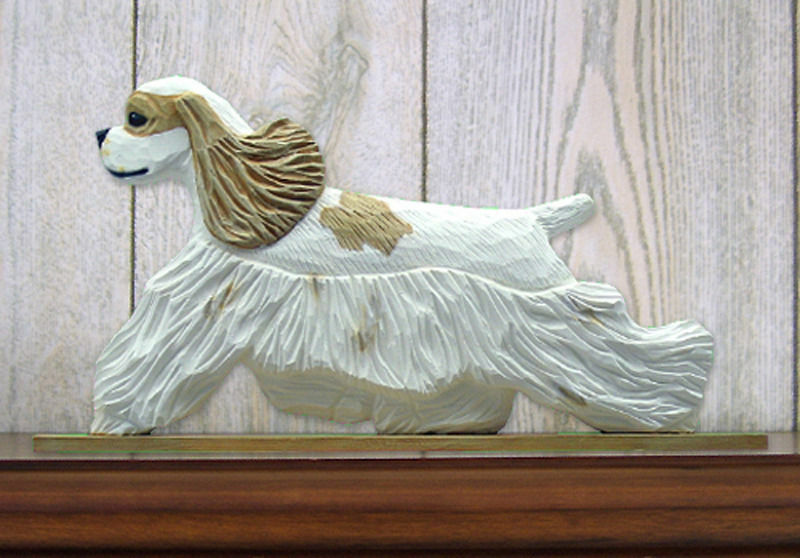 The figurine is displayed with a closed mouth, head turned to the side, and erect tail.